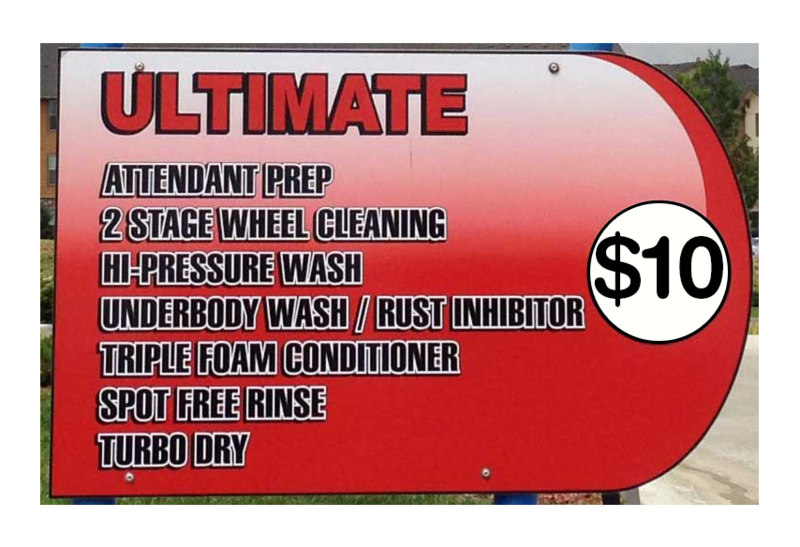 Come in and get our Ultimate Plus $12 Car Wash. 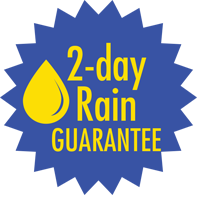 If it rains or snows or you accidentally leave the car parked by the sprinklers, bring it back with in 2 days and we will wash it again for FREE. Reciept must be present. We recycle about 60% of our water. The chemicals we use on your car are ECO-FRIENDLY. 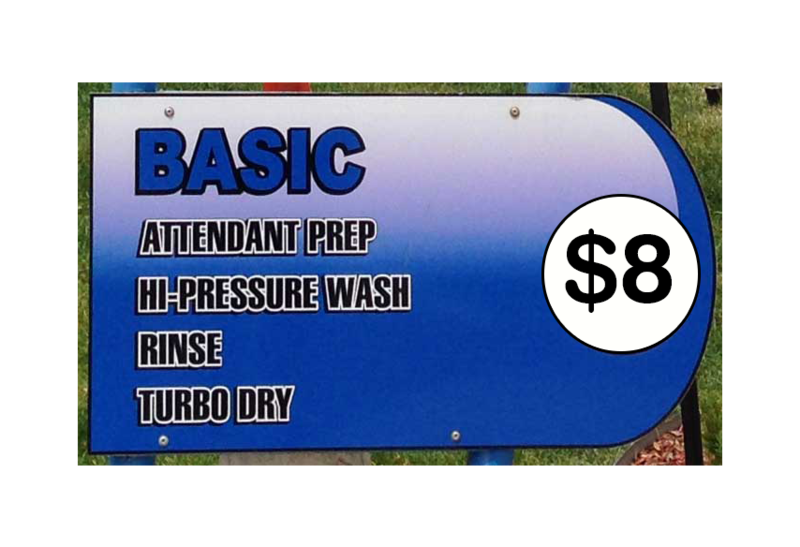 You can have the convenience of staying in your car, and the wash only takes about 2 minutes, and if you see a line, don't worry it only takes about 1 minute per car ahead of you. 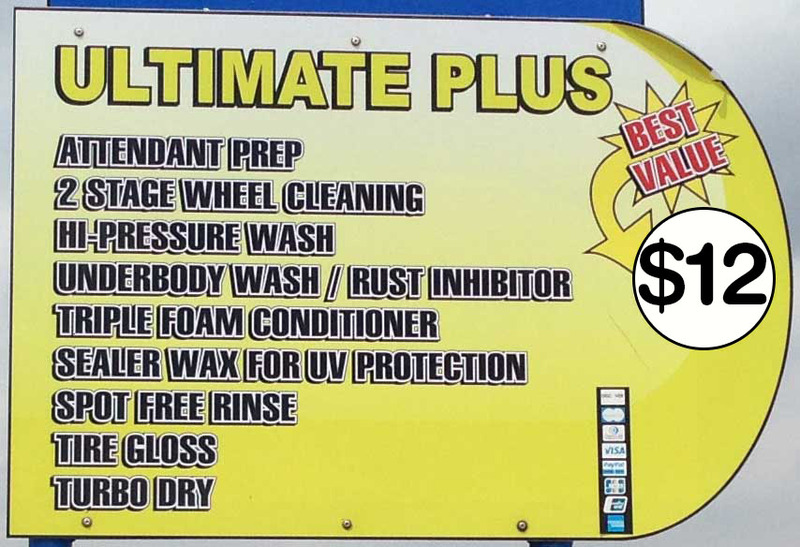 We also feature FREE VACUUMS with every car wash.